The Shared Security Roundup is designed to aggregate and highlight the exciting work being undertaken by AFSC and FCNL in connection with the Shared Security concept. The idea of shared security rejects the militarized and fear-based underpinnings of current policies, and instead upholds human dignity, helps resilient communities solve problems nonviolently, and build a more effective system of international law. The Shared Security working paper can be found here​. AFSC–particularly our colleagues Ojore Lutalo and Bonnie Kerness –is prominently featured in this Al Jazeera article focusing on the practice of holding incarcerated people in prolonged isolation. This practice came under international scrutiny when the U.S. government went before the United Nations Committee Against Torture in Geneva to assess the country’s compliance with the Convention Against Torture. The list of issues addressed in connection to the U.S included the use of secret detention facilities, Guantánamo Bay and the use of “enhanced interrogation techniques”. With only 5% of the world’s population, the U.S. has 25% of the world’s prison population – that makes us the world’s largest jailer. Since 1970, our prison population has risen 700%. Is there an alternative to this system based on retributive justice? One of the shared security principles focuses on the idea of restorative justice, which is concerned far more about restoration of the victim and the victimized community than about the increasingly costly punishment of the offender. In order to pursue policies embodying shared security principles, we need much greater investment and support for small-scale, local peacebuilding, reconciliation, and trauma healing. 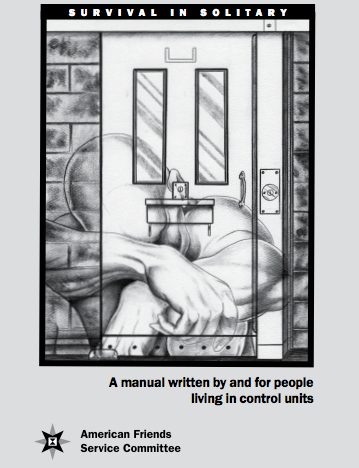 You can find AFSC’s ‘Survivors Manual’, written by and for people living in control units here. One of the major obstacles to shared security is the intractability of the ‘military-industrial complex’. Private companies invest millions in lobbying for policies that guarantee profits regardless of the human cost. 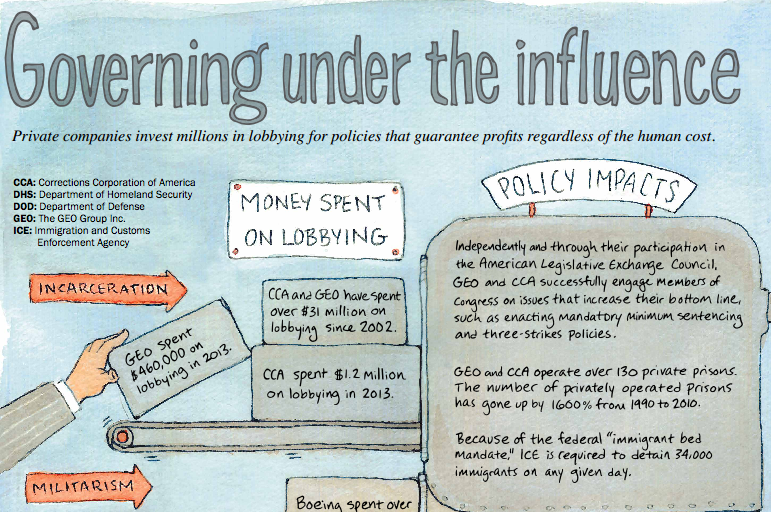 This AFSC infographic visualizes how money spent on lobbying affects policy, profits, and the rest of the world. As the U.S. announces its intent to shift attention toward Asia, many are concerned that this new focus will be framed by militarization and competition over resources and influence. But AFSC’s current work in China demonstrates multiple ways this “pivot” could instead transform U.S.-China relations toward constructive engagement built on the kinds of trust and goodwill that opened doors for our work in the region decades ago. One of the recent examples of this work is AFSC’s outreach with businesses investing in South East Asia. Foreign companies’ rapid development in the least developed countries of Southeast Asia has fanned the flames of several local conflicts during the past decade. Thanks to efforts by AFSC and its partners, companies are beginning to consult local communities before they build—and as corporations prioritize peace, local communities are benefiting. Starting in 2011, AFSC began building partnerships and developing resources to open dialogue among businesses, civil society, and communities. In collaboration with Beijing New Academy of Transnational Corporations (NATC) AFSC came out with a book, “Out of the Mine Fields and Blind Areas of Overseas Investment Security,” which incorporates careful research on the relationship between business and conflict in Myanmar. This entry was posted in Shared Security Roundup and tagged AFSC, prison population, United Nations Committee Against Torture. Bookmark the permalink.